The high quality Golphin For Kids package set has been designed to help kids realise their dreams and aspirations. The key principles of the clubs are to provide kids with a fun and enjoyable experience when introduced to the game. 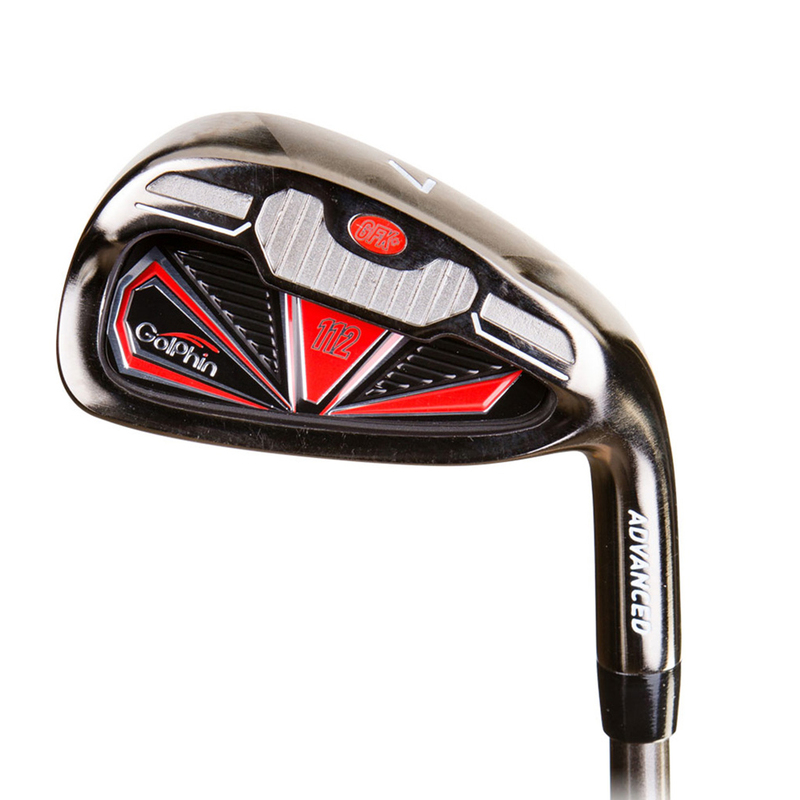 The clubs has been built using a lightweight aero-space alloy which are lighter than a traditional club by 30%. This makes it more easy for the junior golfer to swing, stay balanced and then to encourage their wrists and arms to rotate on the swing. 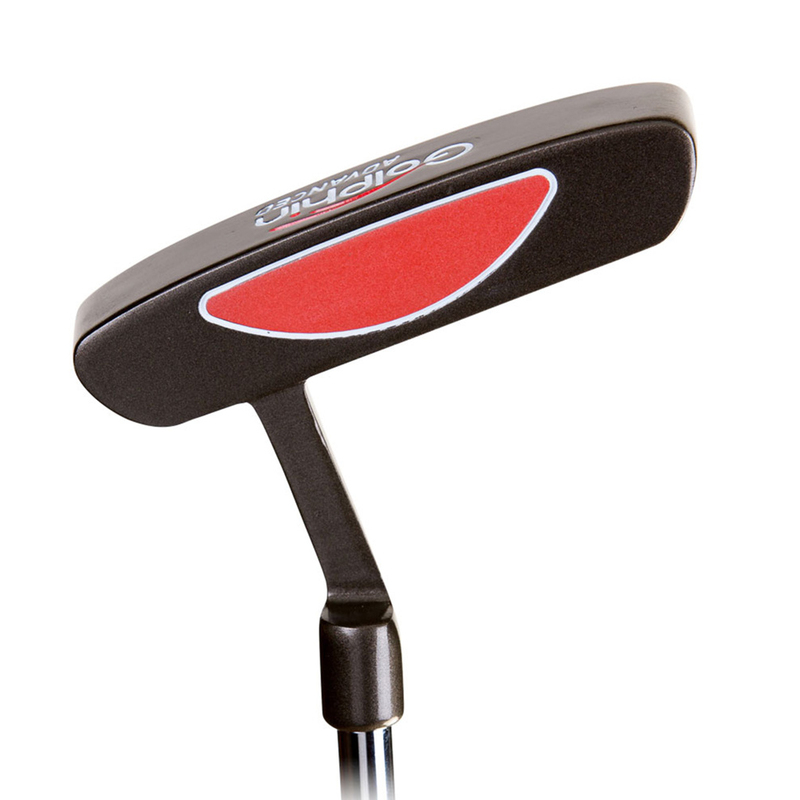 The oversize club heads make it easier for the junior golfer to hit with a 35% larger sweet spot to make golf easier and to encourage a more confident ball strike. 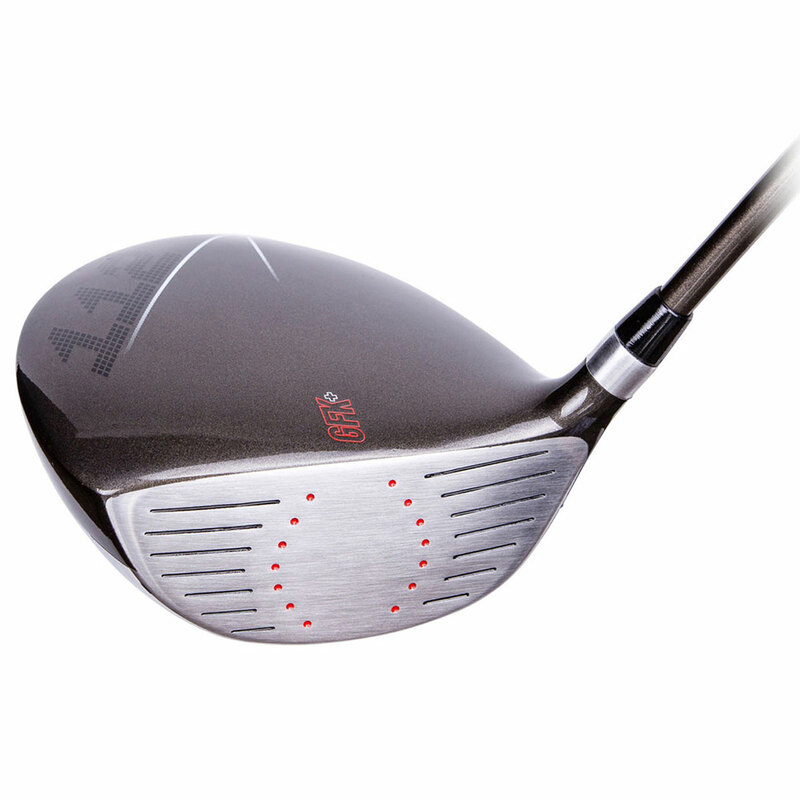 A high loft`s and more forgiving lie angle`s make these clubs so easy to get the ball up in the air. 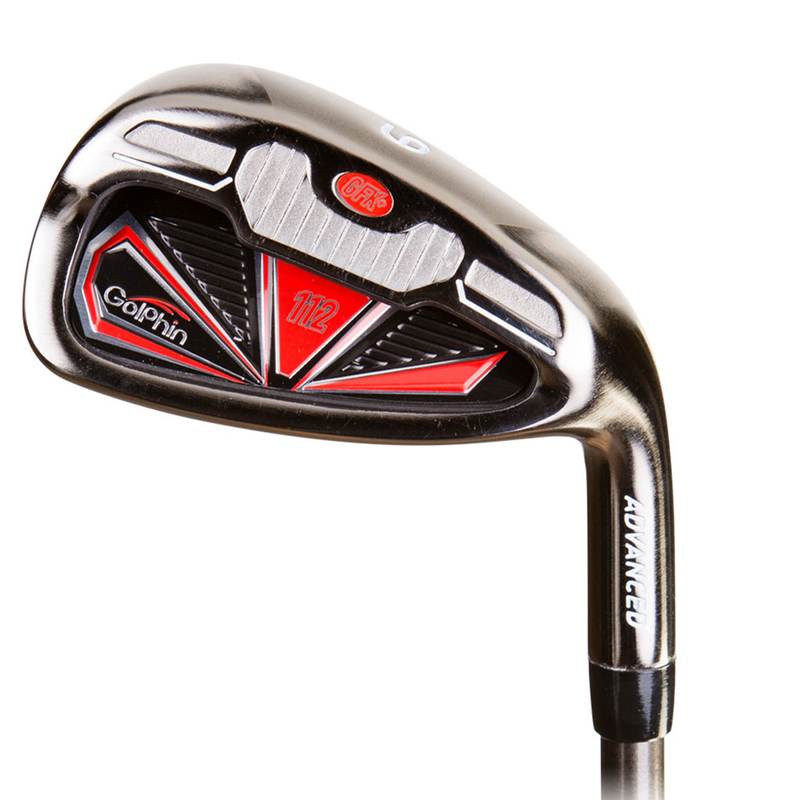 High flight grooves help to generate more spin on the golf ball to increase the trajectory for added distance and control. The bag is focused on providing children with an enjoyable, fun-filled and confidence-building experience. 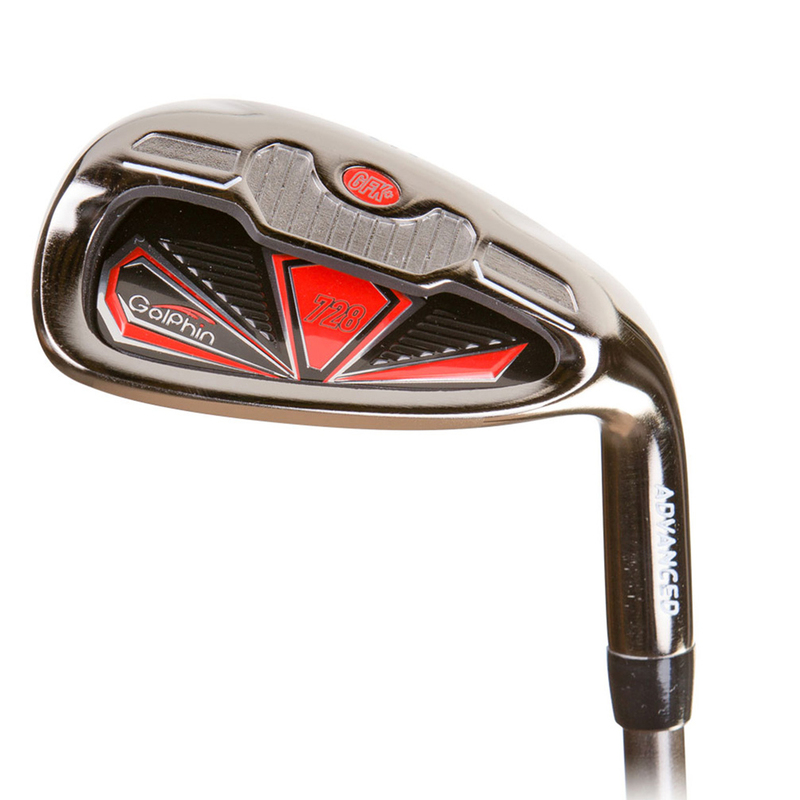 With a high quality construction that can provide the next champion with all the space and organisation a golfer could need. The bag has an auto-deploy stand for ease of use and has dual comfort straps for increased comfort when walking with the weight of your equipment. 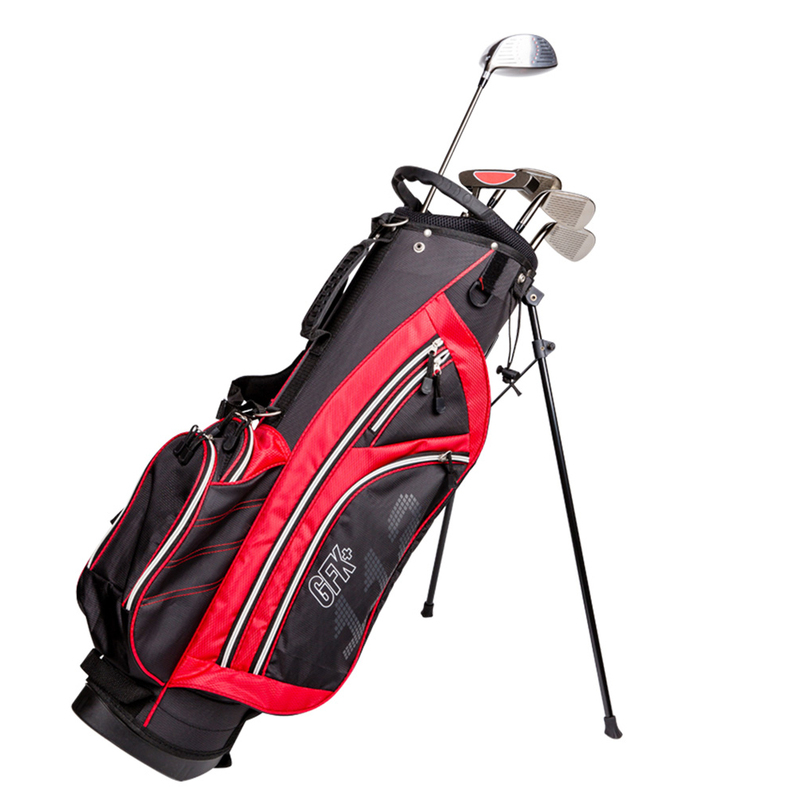 The bag has top dividers to help separate your golf clubs and has pockets which provide more than enough room for all of your golfing gear. The bag comes with matching rain hood to protect your clubs from the rain.